Articles in Guardian Australia by Honest History’s David Stephens, Mariam Tokhi of Muslims for Progressive Values Australia, and Guardian Australia‘s Brigid Delaney, all riffing off the confected outrage surrounding Yassmin Abdel-Mageid’s Anzac Day tweet. After the event, some notes about cliches, numbers, Andrew Bolt and Anzac Day selfies, oh, and Yassmin Abdel-Magied. Also some thoughtful commentary linked. A collection of links from just before and on Anzac Day, with the emphasis on commercialism, aftermath and commemorative football matches. There is a picture of a rather nasty looking teddy bear. New information about terror threats in Turkey has been released but figures from the Department of Foreign Affairs and Trade suggest numbers going to Anzac Cove this year were going to be down this year in any case. Eleven media releases in one week from the Minister, covering everything from small commemorative boondoggles to useful initiatives on veterans’ health and employment. 11. 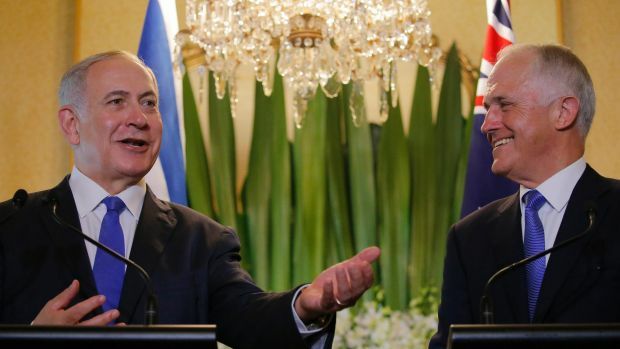 Australia and Israel recognise the historical significance of the Battle of Beersheba as a foundation stone for the relationship between the two countries. Leaders committed to host a major commemoration in Israel, to coincide with the 100th anniversary of the Battle, in October 2017. In a speech on 22 February Turnbull recalled: ‘It is almost 100 years since the charge of the Australian 4th Light Horse Brigade captured the town of Beersheba from the Ottoman Turks in the fading daylight of the 31st of October 1917.’ For DVA arrangements for the commemoration go here. See also Paul Daley’s 2009 book on the original event. A couple of weeks ago, Veterans’ Affairs and Anzac Centenary minister, Dan Tehan, hinted that people planning to go Vietnam in August for commemorative reasons might want to put a question mark against the Long Tan leg of their itinerary. The Minister has now confirmed that there will be no official commemoration at Long Tan this year, though private visits (without media) will still be OK. The Minister said we should ‘respect Vietnam’s right as a sovereign nation to determine the nature of commemorations held on its soil’. Taking it back a step, when you fight wars in other people’s countries there are always going to be sensitivities about going back there to commemorate them. Which kind of links to the next item, which is partly about how we remember battles fought not overseas but on our own soil. Elsewhere you will find two rather different offerings for this almost-Anzac season. Walter Phillips, aged 85, pursues some family links to Gallipoli and tests whether his visit there has affected his ambivalence about Anzac Day. Then, the Australian War Memorial’s For Country, for Nation exhibition shows some fancy dancing around the distinction between, on the one hand, recognising Indigenous service defending country, before and after Federation, and recognising the ill-treatment and murder dealt out to Indigenous Australians by settler Australians, but, on the other hand, not providing too many details about the latter events and certainly not commemorating Indigenous service not in uniform in the same way that we (now) commemorate Indigenous service in uniform.